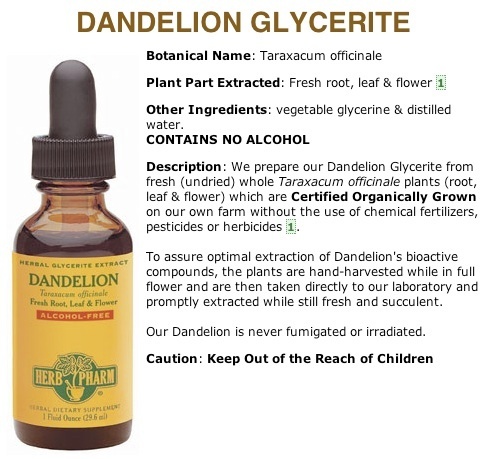 Herbal glycerites are very similar to liquid herbal extracts and can used in the same way. The difference is a slight adjustment in the extraction process, which allows the herb to be extracted with natural plant glycerine instead of alcohol. 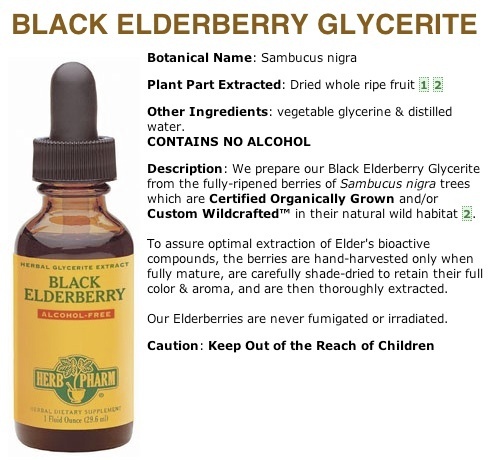 For more detailed information on an extract, please click on the bottle image. Additional information about these products can be found on the co-founder of Herb Pharm's website: www.herbaled.org and in his book 'Therapeutic Herb Manual'. Excerpts from the book are cited below but do not represent the full potential of product use. Please note: *The information provided is general & educational in nature as every 'body' in different thus it is not intended to medically prescribe or replace qualified medical healthcare. Statements made about the extracts have not been approved by the FDA and are not intended to diagnose, treat, cure or prevent any disease. Please keep in mind that herbs can contain substances that can trigger side effects and interact with other herbs, supplements, or medications. *Nutritive, Antioxidant, anti-inflammatory and antiviral actions. Enhances bronchial secretions and can be used to shorten the severity and duration of colds and flue. Pleasant flavor makes it ideal for use with children. *General tonic to digestive organs; improves appetite and digestion. Mild-acting cleanser and decongestant to liver and gallbladder; enhances bile flow; promotes regularity of bowel movements. Diuretic and kidney cleanser. *Supports healthy function of the Immune System. 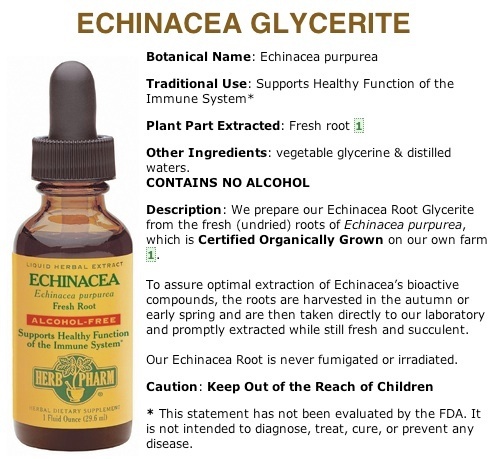 Blend of Goldenseal and Echinacea. *Enhances physical and mental energy, stamina. Rejuvenating tonic. Environmental, physical and mental stress, overwork, chronic tiredness, and nervous exhaustion. Athletic training and performance, as well as hard physical work and mental concentration. *Stimulating astringent; tonifies mucous membranes. Sub-acute and chronic inflammation of mucous membranes and glandular system with altered secretions; chronic inflammation and ulcerations of mouth and throat, nasal sinuses and pharynx. Topically for infected wounds, ulcerations and bedsores, conjunctivitis. *As an antioxidant to minimize the deleterious effects of environmental pollutants, inflammation or other forms of metabolic stress. Cancer prevention. As a mouthwash in prevention of dental cavities, and treatment of gum disease. High content of catechins, flavonoids and other phenolic compounds makes it an excellent antioxidant, six times more than black tea. *Adaptogenic tonic that improves energy level, endurance and stamina, work productivity, mood, mental clarity, attention span, and memory. Antioxidant. Antifatigue. *Nervous debility, anxiety and mental depression. Mild sedative. Nerve injury, inflammation and pain. Topically to treat trauma soreness, wounds, bruises, contusions and shingles. *Calmative. To reduce stress, anxiety, nervousness, agitation, and irritability. Facilitates and enhances quality of sleep in insomnia without a 'drugged feeling'.